Apr. 04, 1960 - ''Ballets Rose'' Trial opens in Paris: Twenty three prominent people involved in one of the biggest post-war scandals (known as ''Ballets Rose'') were on trial at the Paris Correctional Court to-day. 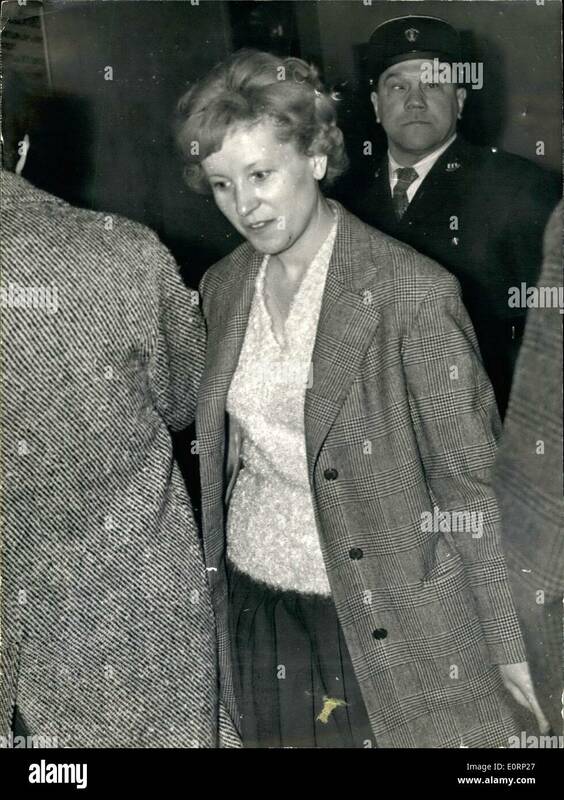 Photo shows MME Sorlut, wife of Pierre Sorlut, charged with promoting the Eballet Rose parties, pictured in the lobby of the Paris Law Courts. Apr. 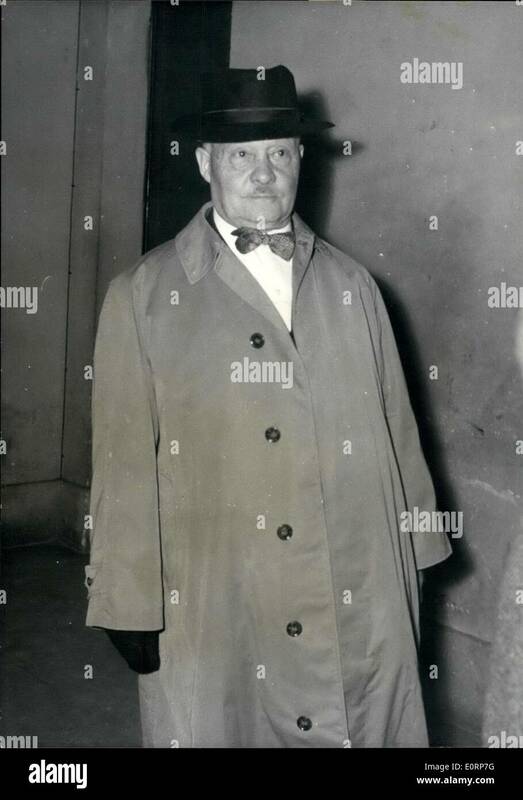 04, 1960 - ''Ballets Rose'' Trial Opens in Paris: 23 Prominent People Involved in Vice Scandal Twenty three prominent people involved in one of the biggest post war vice scandals (known as ''Ballets Rose'') were on trial at the 17th Paris correctional court today. OPS: M. Le Troquer, former speaker of parliament, one of the personalities involved in the scandal, photographed at the Paris law Courts this afternoon.